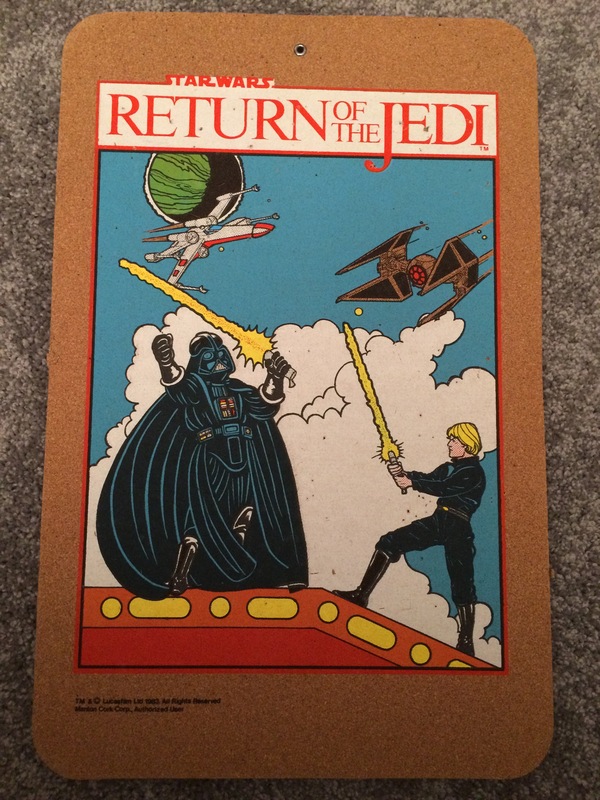 EDITOR’S NOTE: Few things have had more influence on the life of collector Shaun Griffith than Star Wars. Below, he discusses his enthrallment with the franchise and shares prized items from his collection. Some of these may take you back. FYI, he’s selling off some of his collection gradually on eBay. 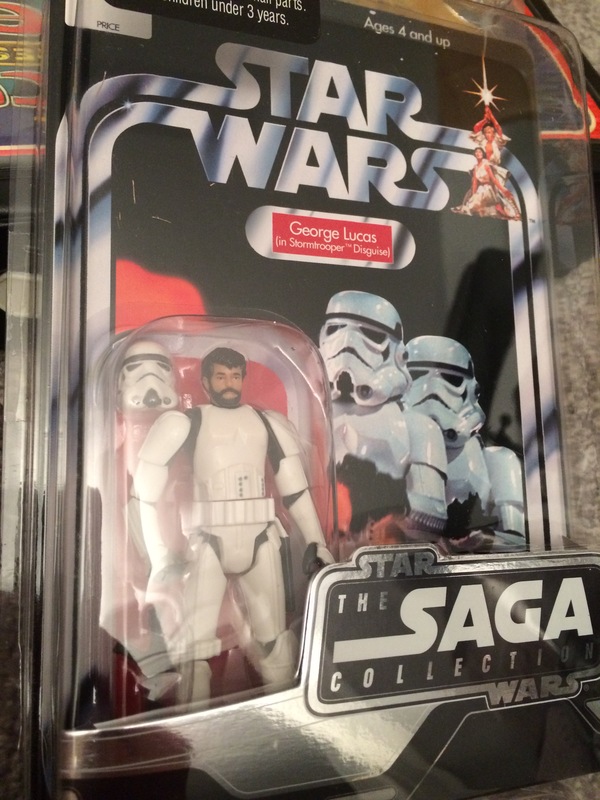 I don’t remember my first Star Wars action figure. I only remember them always being there. At the age of 5, my room changed from Mickey/Disney themed to Star Wars. My mom had made over my room without me knowing. It was an awesome surprise. 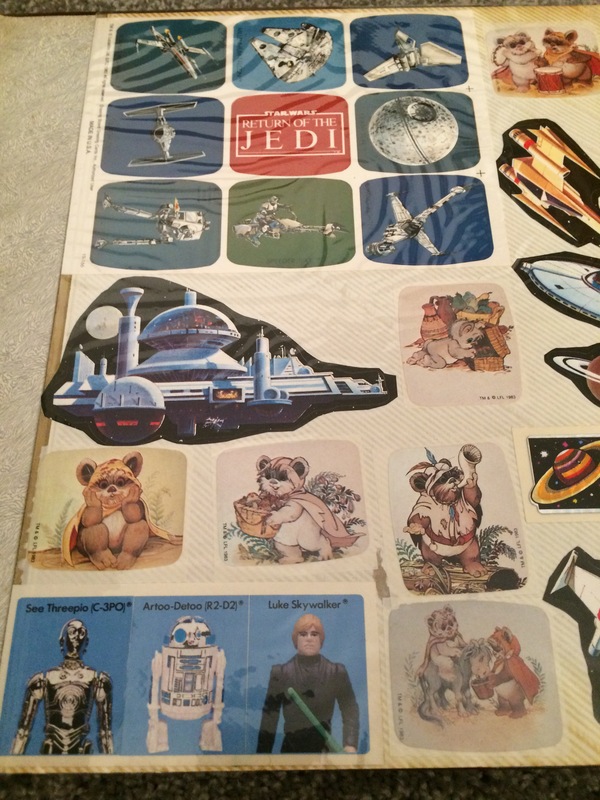 Posters on the wall (still have them), shelves of Star Wars paraphernalia, a comforter and pillow set (long gone now). The decor hung around for nearly a decade before items began to go into the archive. 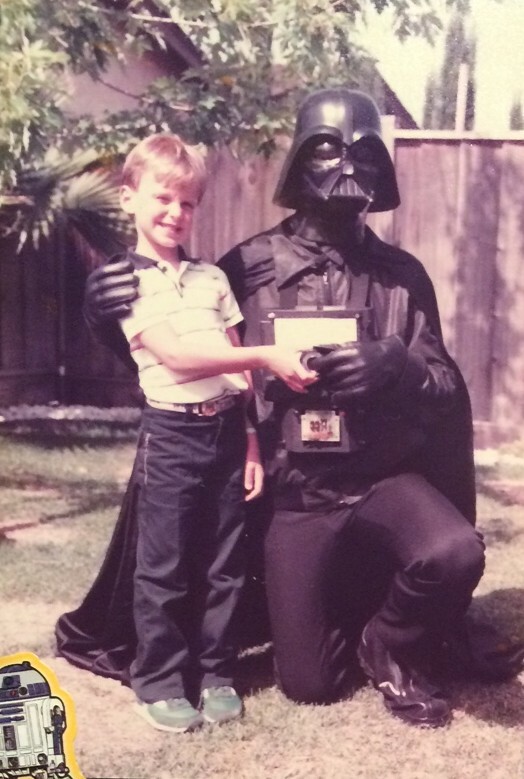 Shaun Griffith with Darth Vader at his sixth birthday party. 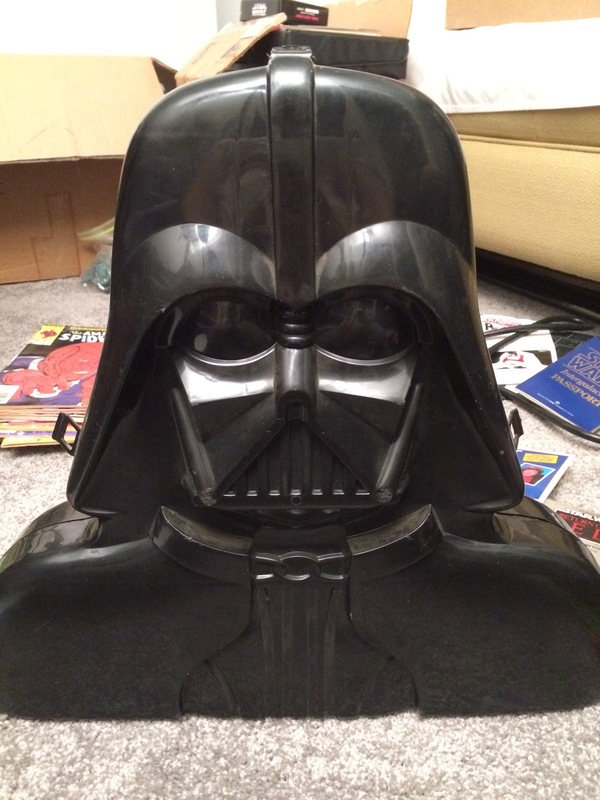 An only child, I took great care of all of my collections, Star Wars chief among them. 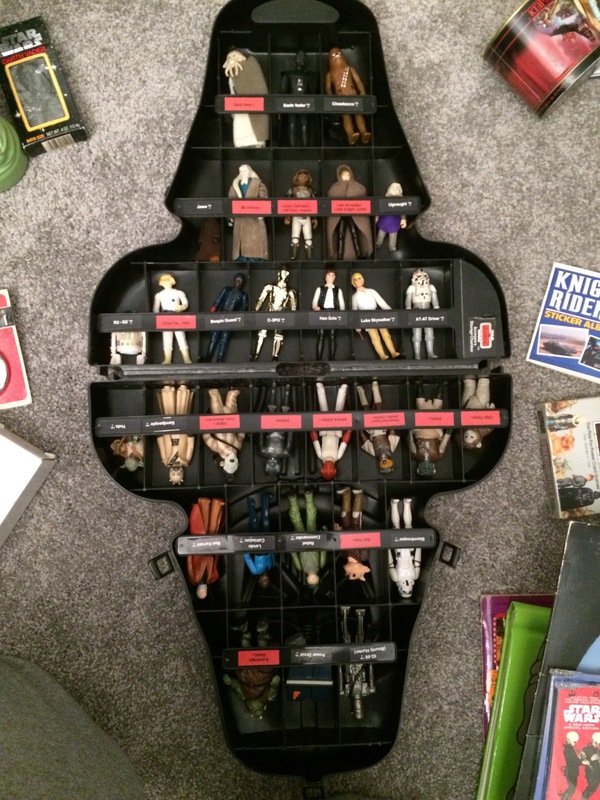 Every action figure handled with great care … except for Boba, who found himself buried in the sandlot at some point. A family friend was kind enough to put all three films on an EP VHS (it’s around here somewhere). Full framed, VHS played to the nth degree. 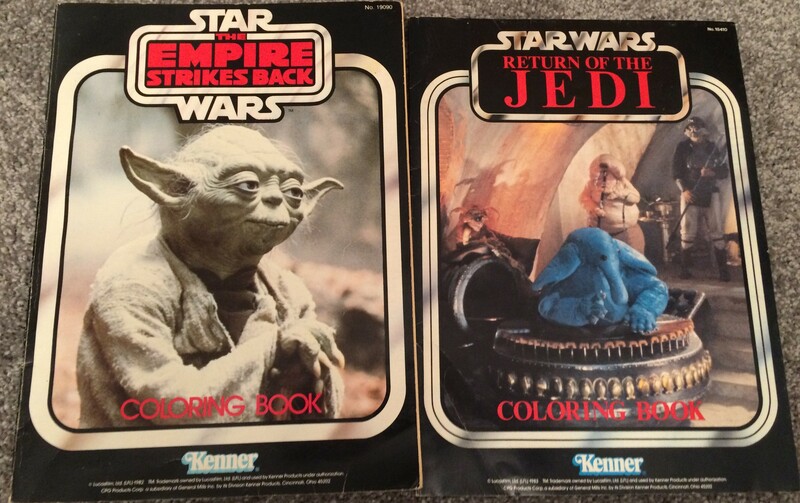 Every time I was sick, home from school, which happened a lot, being a sickly kid, was filled with Star Wars. 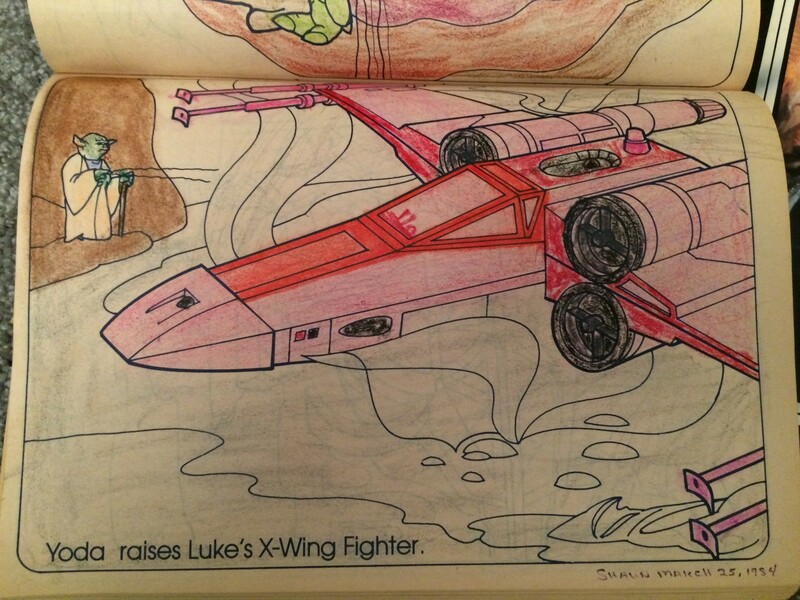 I was a devoted canon only kid. The novel spinoffs never appealed. Extended universe … blah. If Lucas didn’t write it, I didn’t care. Before “Phantom Menace” was released, I had a Santa Barbara News Press interview and was even quoted. Star Wars was more than a movie for me. I grew up fatherless, always wondering. At a church men’s conference, I discussed “confronting” my father one day. Someone asked why I saw it as a negative, as a confrontation. Star Wars fans will understand the context. I laughed and acknowledged that I used that specific word because of Star Wars. Ashamedly, I was Luke, minus a couple of droids and Ben Kenobi to launch me on my quest. “Phantom Menace” fell flat with most fans but I was never a hater. 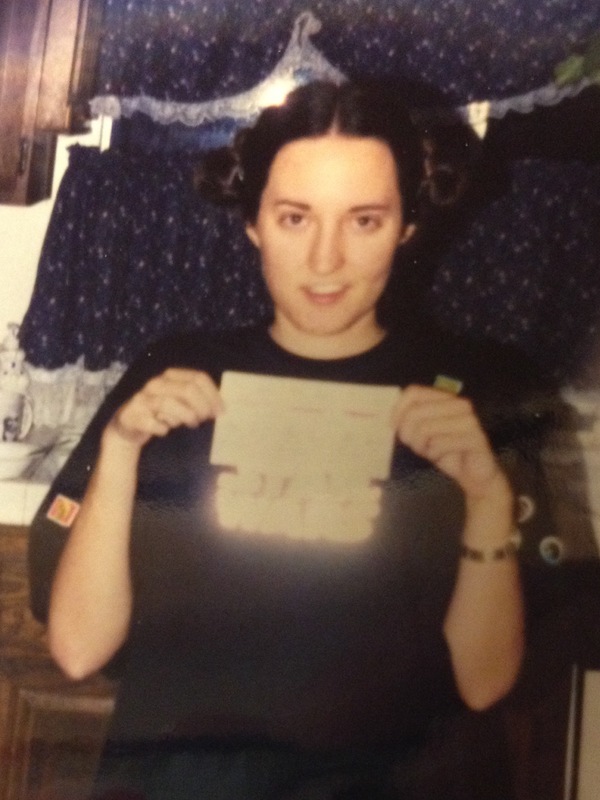 “Phantom Menace” was the first time that I was able to join in with a large group of friends, camp out all night at the Riviera in anticipation of greatness. After it was over, a college friend and I got in the car. He was let down. I wasn’t. I’d never known sci-fi community before that. It was greatness. People dressed up. We cheered. Time stopped for me. When Lucas sold to Disney I was glad. Episodes 7-9 would finally be made. He had said he’d never make them and I trusted Disney to do it right. I have no qualms about the forthcoming. It will be everything that everyone wanted “Phantom Menace” to be. “The Force Awakens” parallels the reawakening of many a fan. It will inspire both new and old nearly 40 years after the original … . A New Hope unto itself. Bo Marr Monk. One of my favorite characters. Only featured in the background at Jabba’s palace. I was always fascinated. Had to mail away for this figure in the mid ’90s. 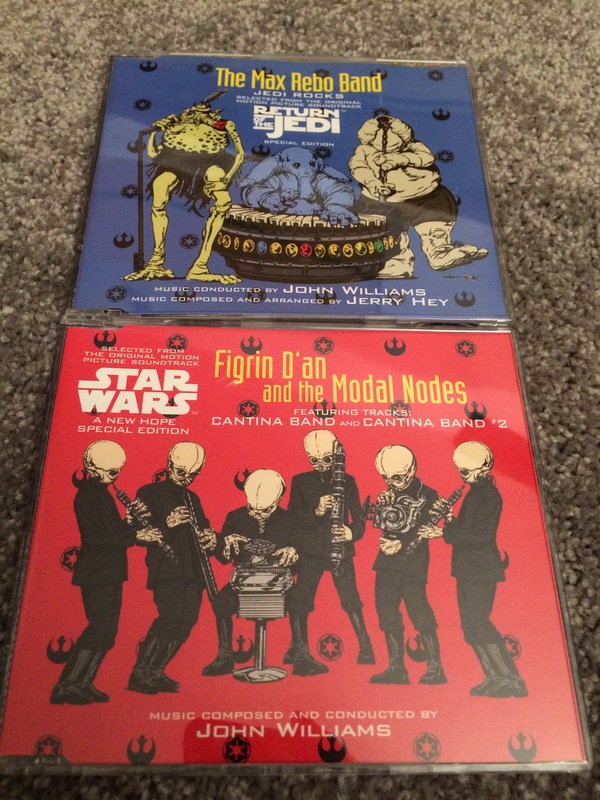 Love these CDs, particularly Figrin D’an and the Modal Nodes. Ewok ones … reminds me of the Ewok cartoon. Love the mugshot-like figure stickers at the bottom; the fact that they pronounce the names, priceless. pictured it all in my head. Plus this album looks badass. 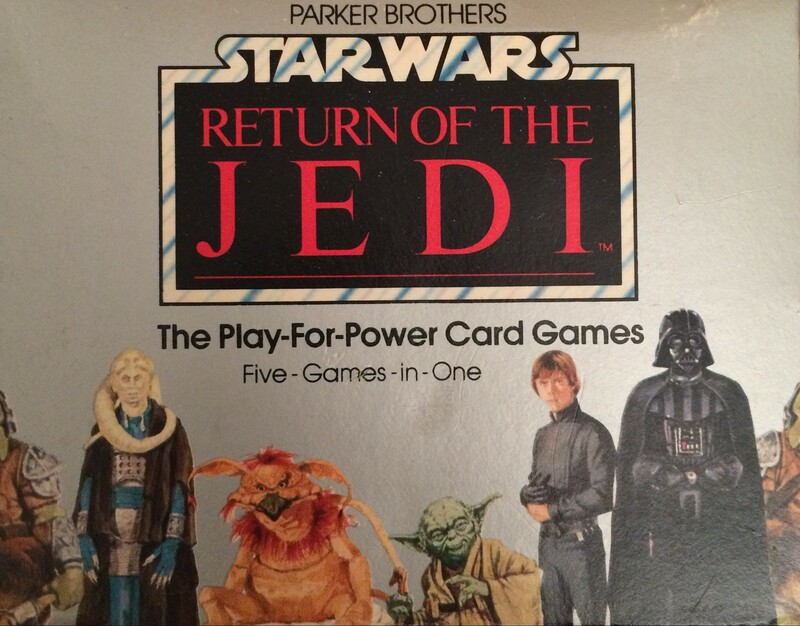 Never played, still in the package card games. 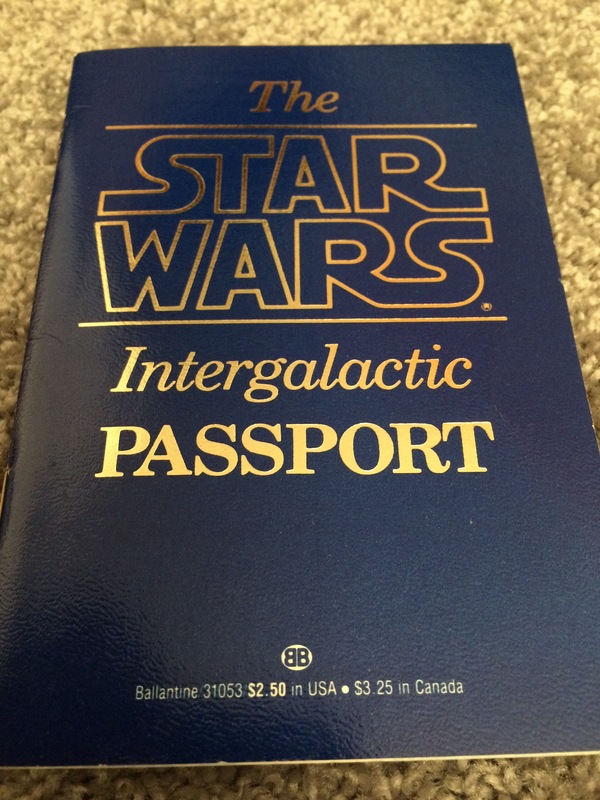 When you’re traveling intergalactically, you must bring along your passport. 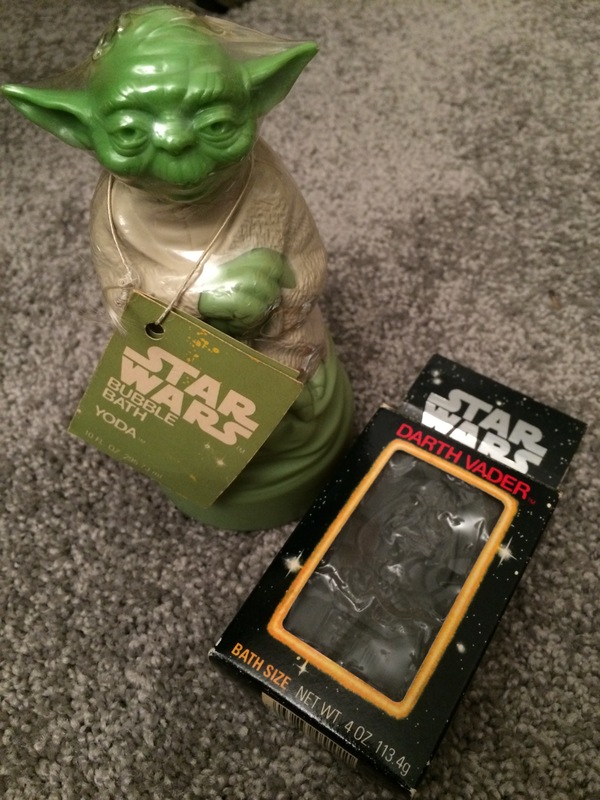 Long before those recent lipsticks were produced, here you have Yoda Bubble Bath and Darth Vader soap. I had a C3PO soap too, but it disintegrated. Tossed it a few years ago. Buttons! I have a button collection, however, these were never mingled with them. 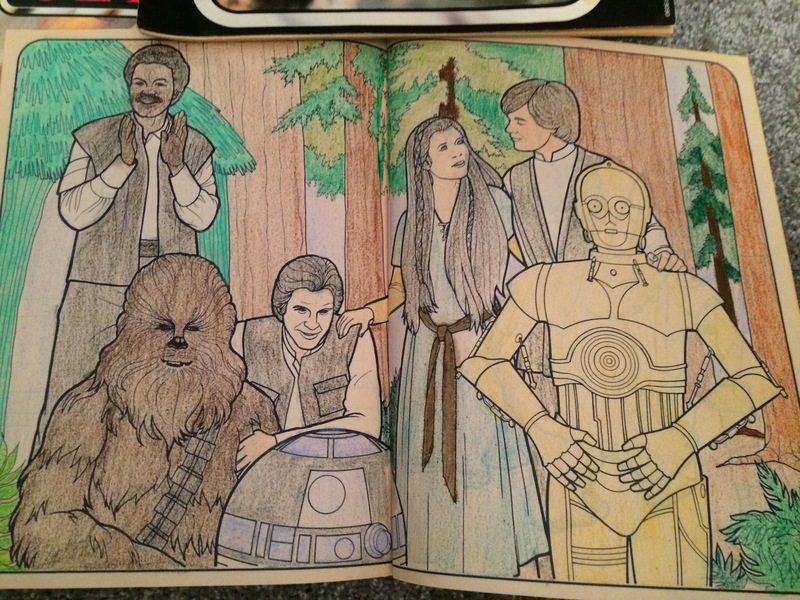 ESB & RotJ … note the improvements in coloring skills. This defined Star Wars action figures. Everyone had one of two cases, this one and/or the C3PO one. This case got a ton of use. Not vintage. Had to mail away. But I still get a kick out of it. George Lucas as a Stormtrooper, who could resist? Cork board. Lightly used. Still looks good. 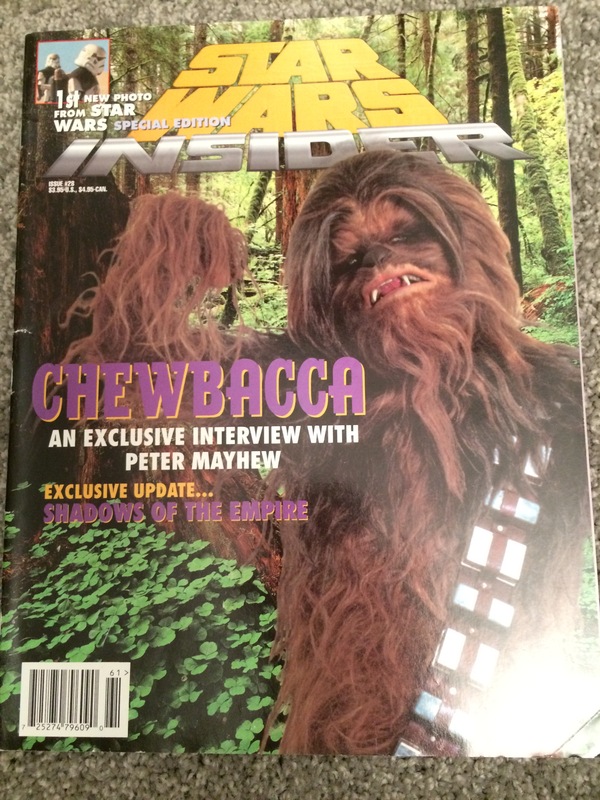 I subscribed to Star Wars Insider in the ’90s. I had several copies, however, this cover is particularly funny. Shaun Griffith is a California native and a Hayward farmer (non-moisture) who went south to become a Santa Barbara Gaucho with a degree in film. 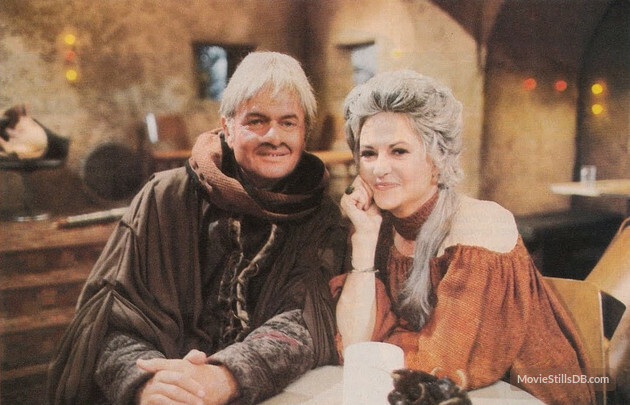 He is married to an LBC princess with a sci-fi allergy. 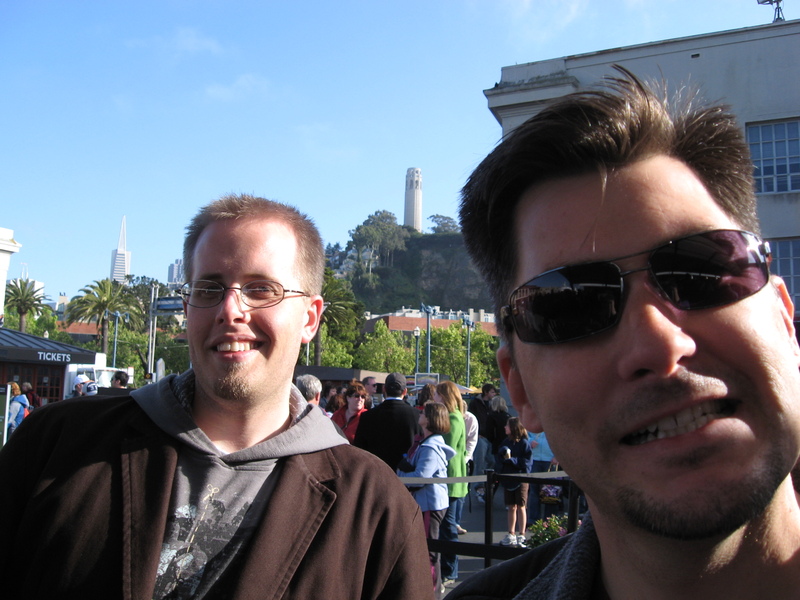 He works as an eCommerce Ops manager for a company with conference rooms named Ewok and Chewbacca and presently resides in the Bay of the Half Moon. Photos courtesy of Shaun Griffith. “The Phantom Menace” photo: YouTube.com. 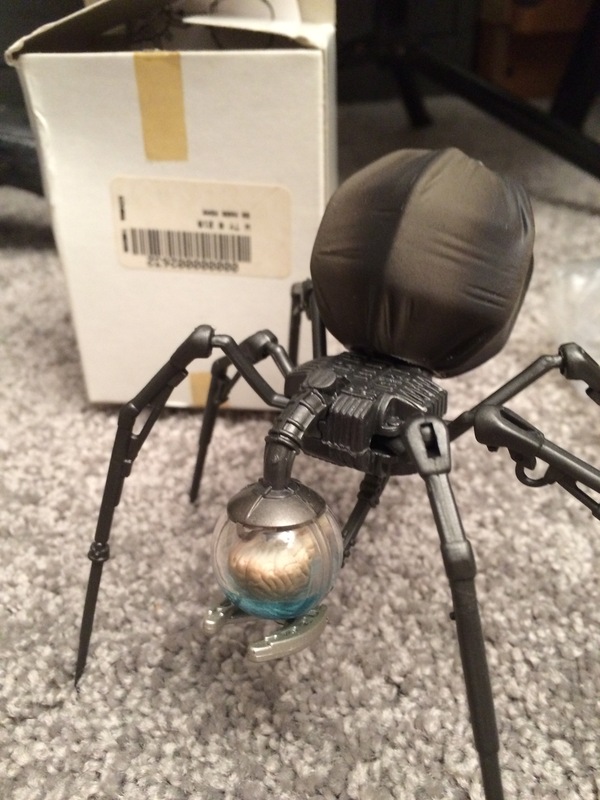 This entry was posted in Uncategorized and tagged A New Hope, Bo Marr Monk, George Lucas, Star Wars, Star Wars action figures, Star Wars collection, Star Wars collector, Star Wars Insider, The Force Awakens, The Modal Nodes, The Phantom Menace on December 10, 2015 by Lavender Vroman. This is kind of embarrassing. But I’m going to let you read it anyway. 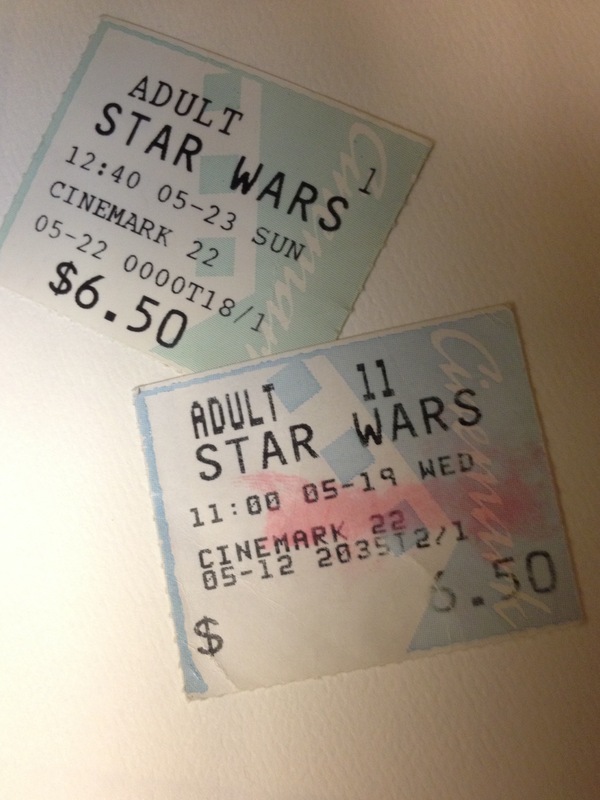 One of the first things I wrote after I started my job as a copy editor at the Antelope Valley Press was a passionate defense of “Star Wars: Episode I — The Phantom Menace,” which was receiving almost universally scathing reviews. Ironically, this opinion piece helped land me a position as an entertainment reporter for the Showcase section, so I look back at it with a certain fondness, no matter how misguided it may be. Keep in mind that it was penned almost immediately after the release of “Phantom Menace” and many of us were still basking in the glow of a Star Wars revival and the fact that we had just seen Jedi spinning and leaping in the air, twirling their lightsabers, like we’d always dreamed it could be. 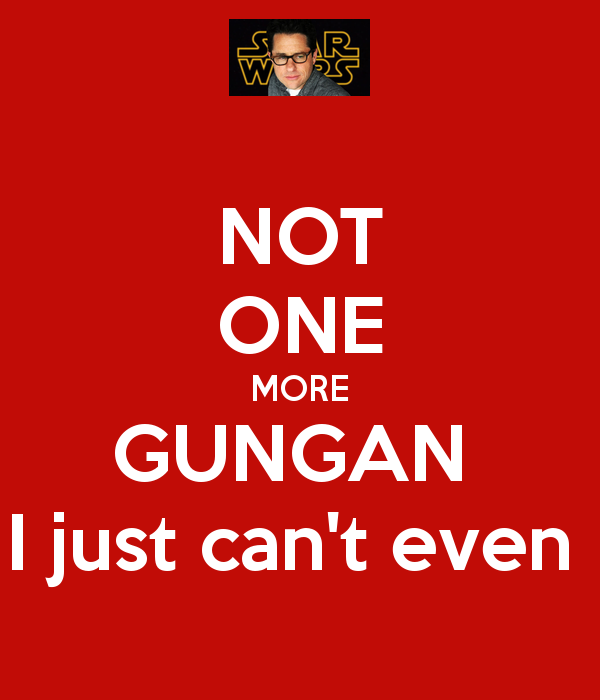 And we had yet to see the other two chapters of the new trilogy. I think many of us were willing to give “Episode I” the benefit of the doubt until the abysmal “Attack of the Clones” came out. While I do not agree with almost everything I wrote back in 1999, I’d argue that some of the points about the original trilogy and its greatness, despite its lack of conventional “greatness,” still ring true. 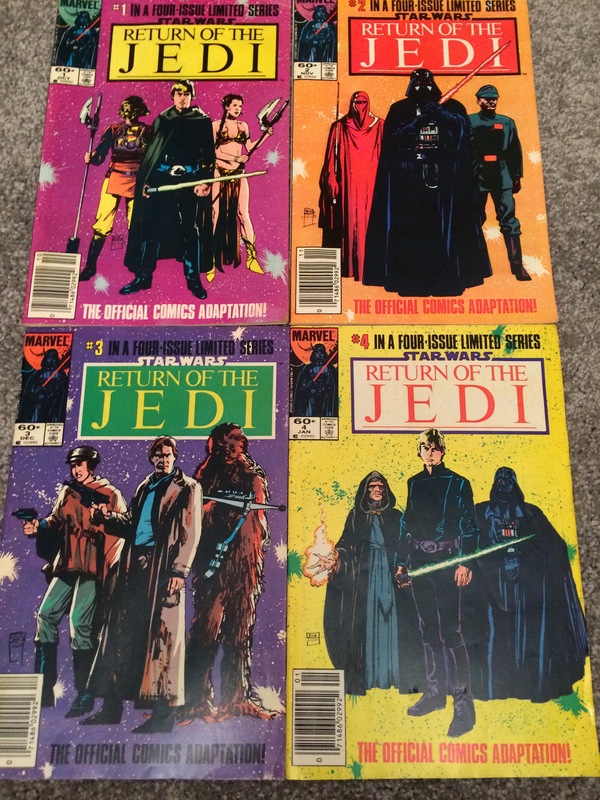 I think my youthful journalistic folly can also serve as an object lesson as we anticipate the arrival of the first part of yet another Star Wars trilogy. Only time will tell if the intense hype and euphoria surrounding “The Force Awakens” is warranted, and if there’s any greatness to be found in it. Let’s not leap to judgement or praise. Let’s give J.J. Abrams’ incredibly risky new venture a chance to become what it’s destined to be. Hopefully, it won’t be something we later wince at and try to forget. You promptly pronounced the long-awaited, much-hyped “Star Wars: Episode I — The Phantom Menace” a disappointment. You cut the film down with strokes as swift as a lightsaber’s. You blasted the plot and dialogue with the heartlessness of a battle droid. Your annoyance with the comic character Jar Jar Binks had you bellowing like Wookies. You scoffed at the actors’ performances with scorn to rival the evil Emperor’s. Sinister villain Darth Maul’s lack of screen minutes made you rave like Tuscan Raiders awakened prematurely from an afternoon nap. You argued that computer animation and special effects smothered any attempt at spiritual, artistic or moral substance. One of you went so far as to compare George Lucas to Darth Vader, in an amusingly ridiculous extended metaphor. You said the writer-director-producer of the great Star War series had finally gone too far, taking himself, and his new film, too seriously. And you didn’t even realize that you were guilty of the very thing of which you accused Lucas. In “Episode IV,” Yoda says that “fear leads to anger, anger leads to hate, hate leads to suffering.” And everyone knows that these things inevitably lead to the Dark Side of the Force. And so, I suggest, do self-seriousness and the loss of a basic sense of wonder. 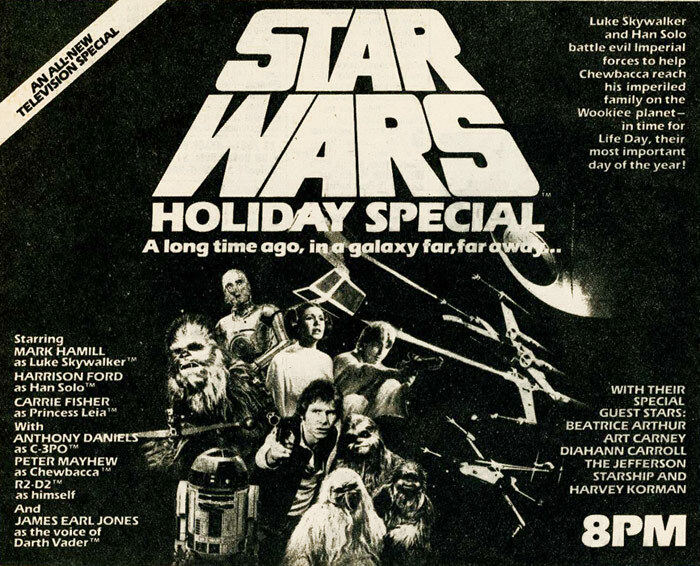 Somewhere in that 15 year dry spell between “Return of the Jedi” and “Episode I,” you must have forgotten what made the original series so delightful and successful. Were “Star Wars,” “The Empire Strikes Back,” and “Return of the Jedi” so remarkable because of fabulously constructed , original and flawless plots? Because of eloquent and layered dialogue to rival Shakespeare’s? Because of superb acting and deep philosophical content? Of course not. Plot and dialogue have never been George Lucas’ strengths. He’s a storyteller on the most basic level. The original Star Wars trilogy was built on the most simplistic of plot lines, borrowing heavily from well-worn myth and fairy tales. It’s the story of an everyday hero who goes on an impossible quest and finds himself and something greater along the way. The stuff all good tales are made of. It’s cliche, it’s hokey, and people everywhere still love it. 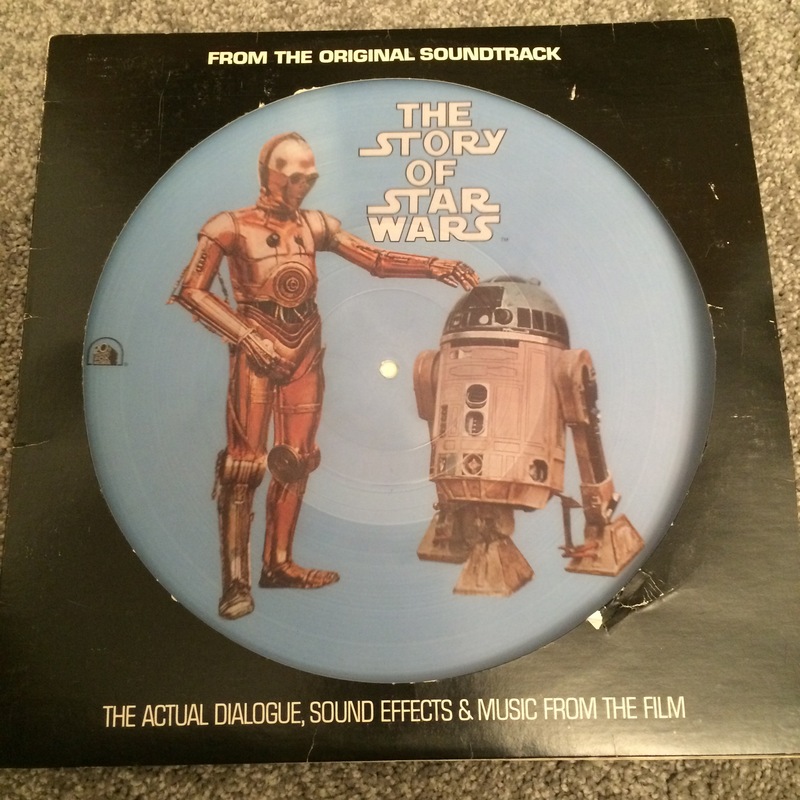 As for dialogue … audiences in 1977 seemed to have no objection to such cheesy gems as Han Solo’s line, “Either I’m going to kill her, or I’m beginning to like her.” If nobody minded then, why should they now? They shouldn’t, and that’s because the power of Lucas’ science-fiction epic has little to do with the spoken word. What makes him a good director is that he communicates effectively at the level that all films inherently operate on — the visual level. It is precisely Lucas’ vision of space, the things we saw when we first saw “Star Wars,” that have so captivated millions of people. It is what we saw of the characters, not only what we heard them say, but the visual impression they made on us, that endeared them to us. Who would actually say that Mark Hamill and Carrie Fisher astounded audiences with their great thespian skills? 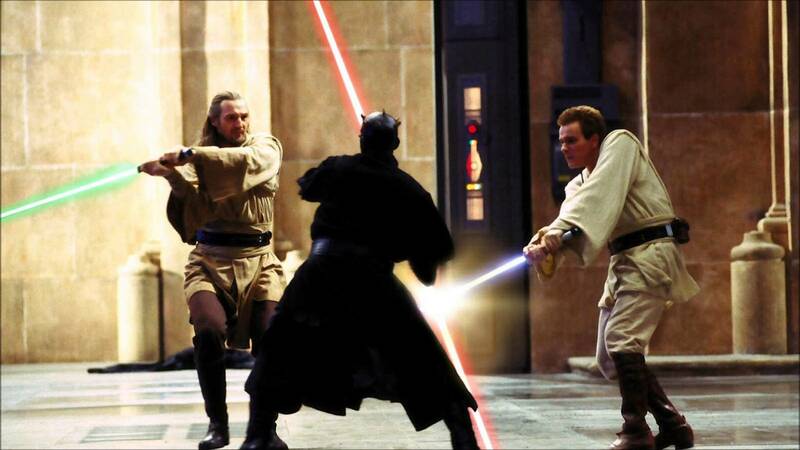 “The Phantom Menace” isn’t, and never was, intended to stand on its own. It’s a part of a whole, and to do it justice, it must be considered along with its other parts. The important elements, the things that branded the original three films into popular consciousness, are there in “Episode I,” and they make it a joy to watch. Yes, Jar Jar Binks is annoying. Yes, it probably wouldn’t have hurt to give creepy Darth Maul more screen time. And no, Han Solo wasn’t there to grin his rascally grin and crack up the audience with his, “I’ve got a bad feeling about this.” Get over it. The first of the prequels isn’t perfect, but it succeeds in the same way the other three did. For, once again, Lucas takes us places we’ve never been, fills our eyes with sights never before seen — the Venice-like, regal planet Naboo, the metropolitan, silvery city of Coruscant and the underwater bubble village of the Gungans. He introduces us to a sad and beautiful queen arrayed in costumes Madonna could only dream of and Jedi in the midst of duels so full of motion and power they make our heads spin. We meet an innocent boy named Anakin with an arrogant streak, foreboding a downfall to come. Even Darth Maul’s short but memorable appearance hints of a greater evil awaiting us in the next episode. “Episode I” is only the foundation for the remainder of three prequels and as a start it will do just fine. 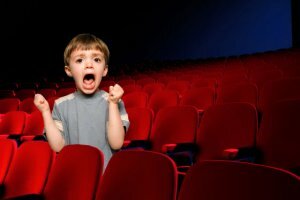 So, all you film critics — I sense that there is still good in you. See the film again, this time on the lighter side of the Force. Jar Jar Binks photo: zap2it.com. This entry was posted in Uncategorized and tagged Attack of the Clones, Carrie Fisher, Darth Maul, Darth Vader, George Lucas, Harrison Ford, Jar Jar Binks, JJ Abrams, Mark Hamill, Return of the Jedi, Star Wars, The Empire Strikes Back, The Force Awakens, The Phantom Menace on December 2, 2015 by Lavender Vroman.